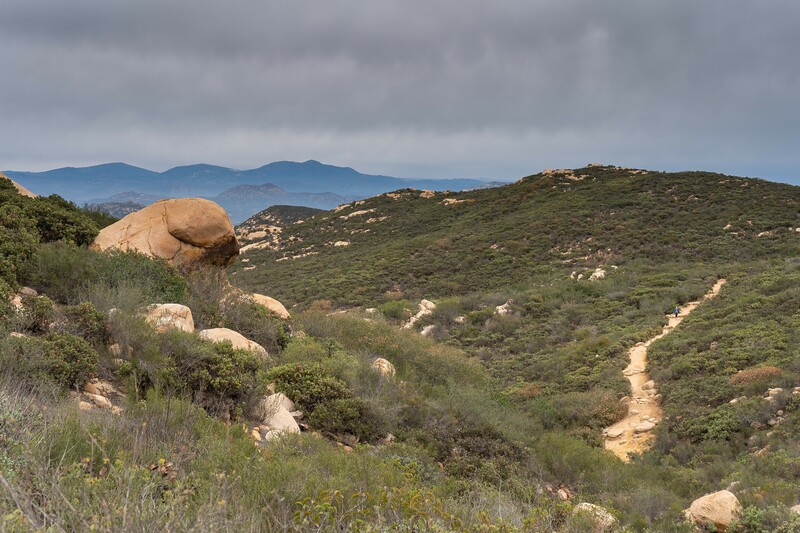 Iron Mountain is an easy day hike in Southern California about 45 Minutes outside of San Diego. 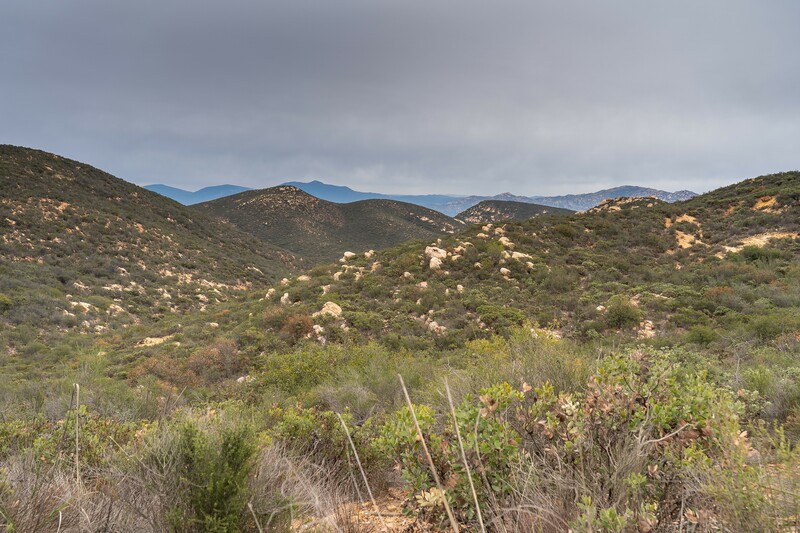 Iron Mountain is an out and back hike that is just over 5 miles. 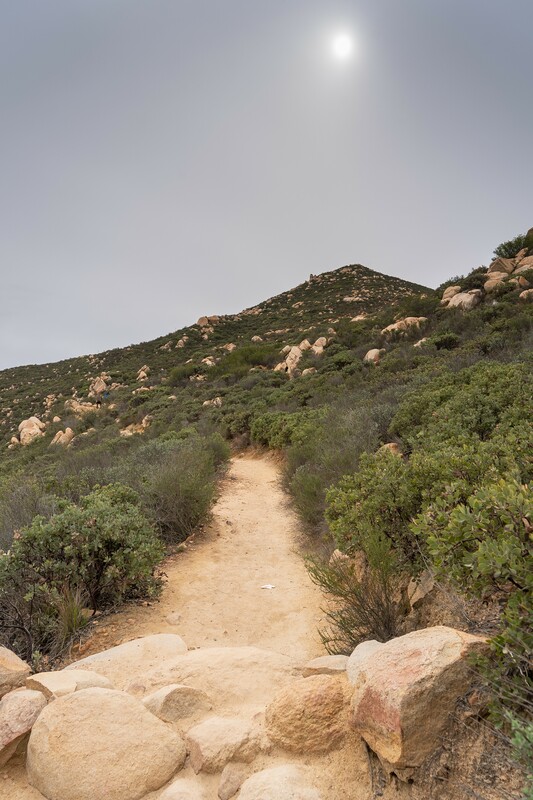 There are a couple of spots where the trail divides into two sections so you can change it up a little on the way back down. 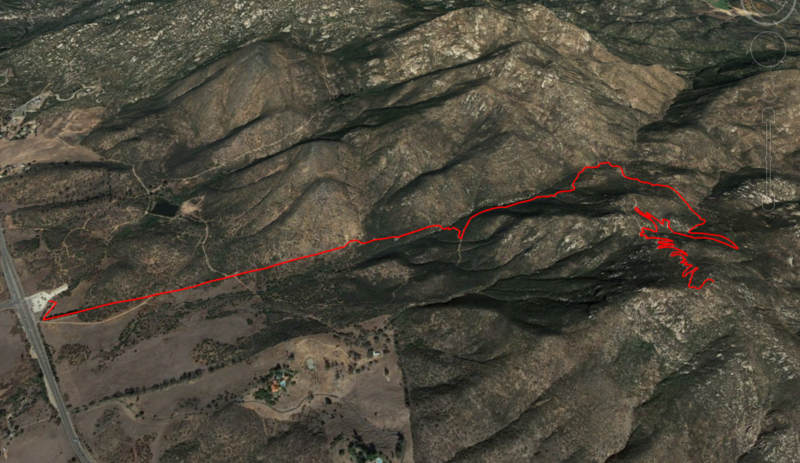 The Iron Mountain Trail Head in Poway California can be found here on Google Maps. 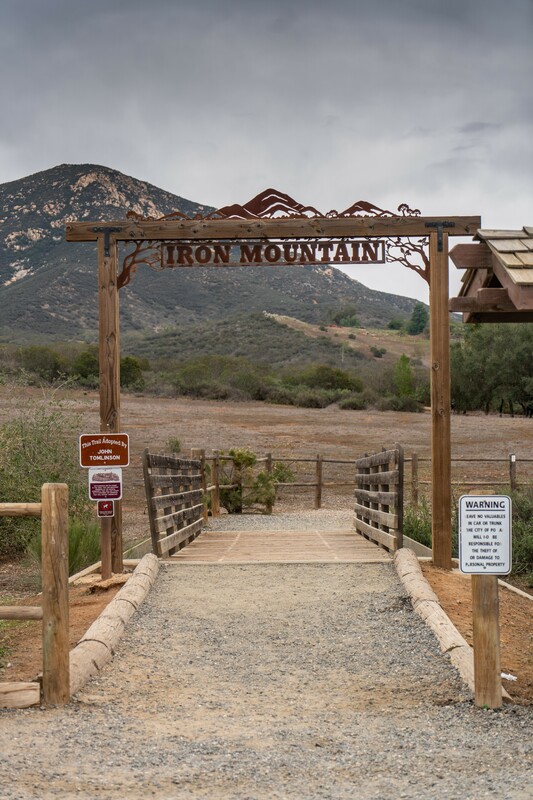 When you arrive at the Iron Mountain Trail Head there is a small parking lot and a restroom at the trailhead that I recommend you use before starting out because there are no restrooms along the hike. 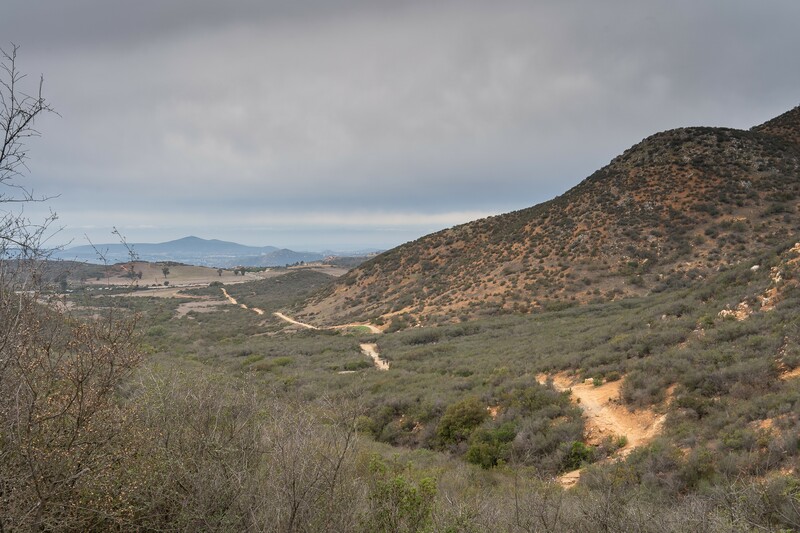 My girlfriend and I went to do this hike, on a cloudy day where rain was expected in the early afternoon. I hoped the weather would turn some people away but that was not the case. The parking lot was packed and there were a ton of cars parked on either side of the road outside of the lot. 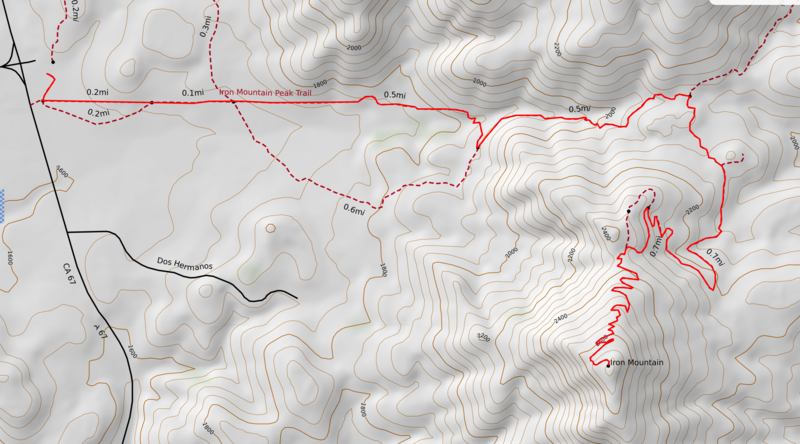 This hike is definitely heavily trafficked but do not let that discourage you, there was never any trail congestion, and it was still a great hike with fantastic views. The trail map below can be viewed and downloaded at Caltopo here. The Iron Mountain trail is beautifully maintained and starts off under a cool sign and through a beautiful tunnel of trees. If you are hiking on a hot day this is the only shade of the entire hike. 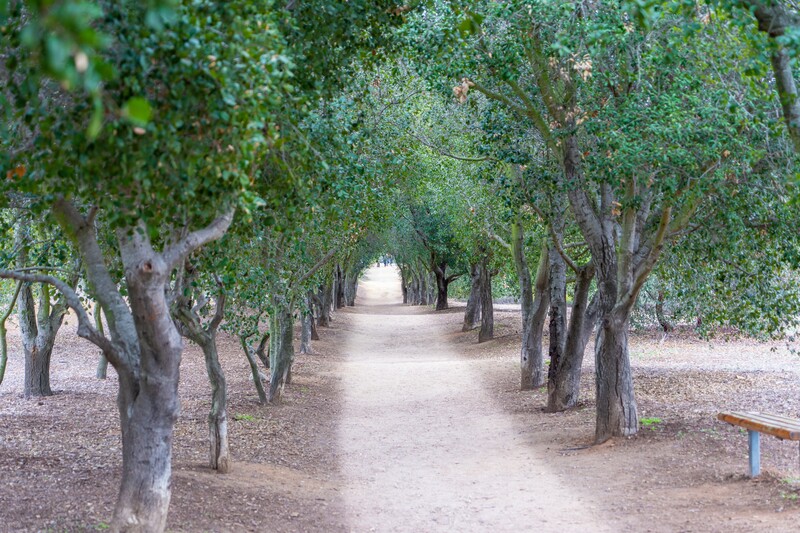 Once through the tree tunnel, the first part of the Iron Mountain hike is extremely straight and is a nice smooth and easy hiking trail. As you slowly make your way up the little valley the trail does get a little rockier and a bit more technical but nothing crazy. As we slowly climbed higher and higher this is a look back down at the first part of the trail looking out toward the tree tunnel and trailhead parking lot. On a clear day as you hike up, there are probably amazing views looking west back toward the ocean, but I much preferred the views east. The views east as we climbed up were fantastic because its all wilderness, no houses cars etc. 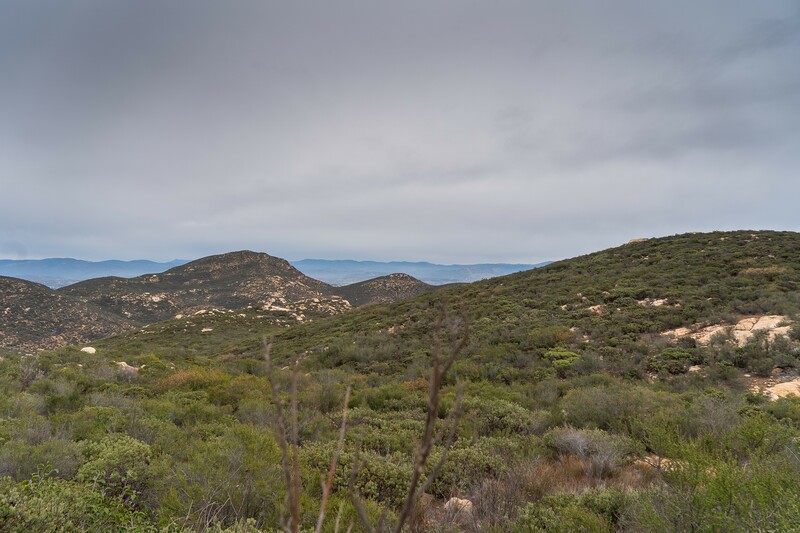 It's great to be able to be 100% immersed in the outdoors with just a 45-minute drive from San Diego. 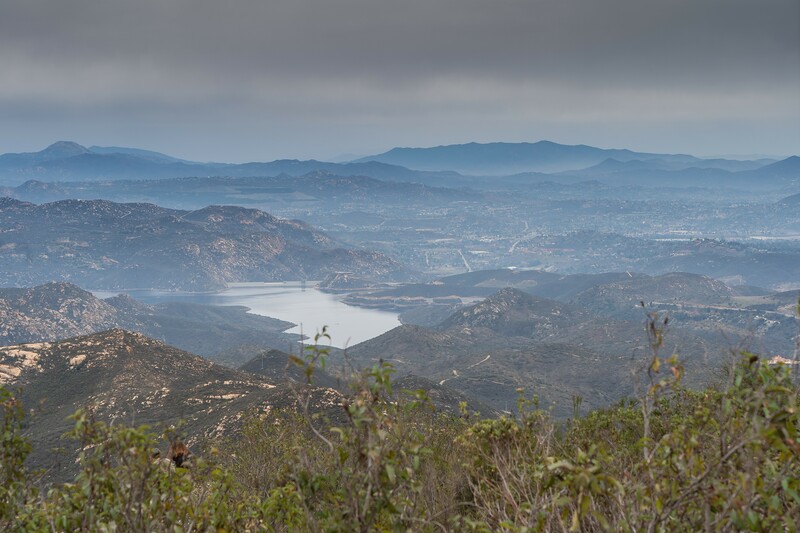 At the top of Iron Mountain, there are a couple of picnic tables you can sit at and rest before hiking back down. 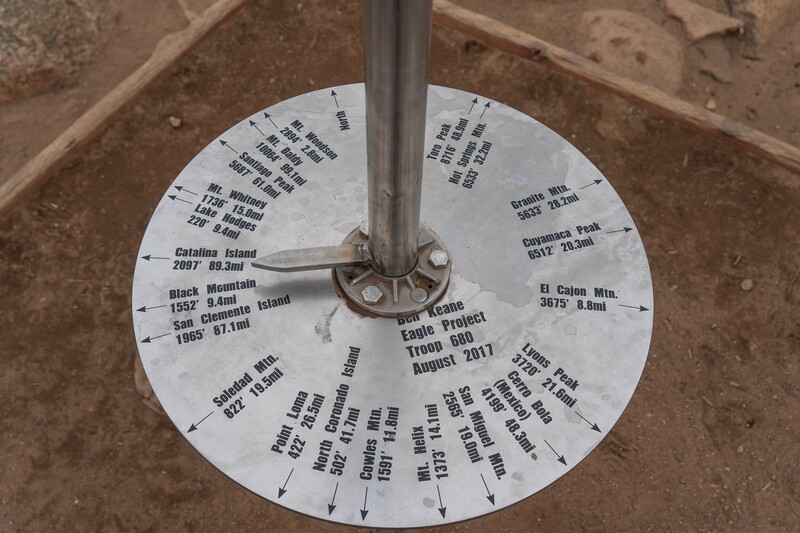 There is also a great disc that shows the direction and distance to different key terrain features built as an Eagle Scout Project. Unfortunately, we were racing some rain that was coming towards us and it was a bit chilly at the top, so we didn't spend to much time up there. The hike down was easy, we took the exact same path as we took up. The skies opened up just as we were driving away, perfectly timed!